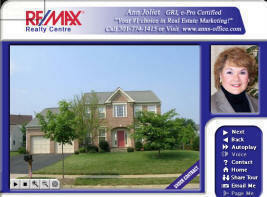 Montgomery County Maryland & Olney Real Estate Agent Listing & Marketing Services. How Does Ann Market Your Home? Here is a detailed list of services that Ann includes with every one of her listings. Click on each of the following categories for details. A personal on-site property inspection. Analysis of your target market and buyer psychological profile. 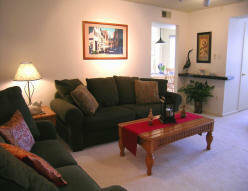 Showing and staging suggestions to make your house appeal to your targeted market audience. Suggestions will include recommended cost effective changes or repairs if appropriate. Most homes don't need a major makeover. But, if you do need a little help, we can schedule a initial consultation with a professional home decorator who specializes in home "staging". Professional stagers can help you with rearranging furniture, choosing colors for new paint, carpeting and cost effective changes that will make your home fresh and appealing. Ann added a few accessories and a bit of color to give it a designer touch and add warmth and emotional appeal. Lack of focal point, hallway to kitchen is high lighted by an obtrusive air intake grill and a stark black formica shelf that looks misplaced. Lighting adjusted, lamp added, more color, table accessories, new larger picture and artistically proportioned accessory added to shelf, and potted fern placed to offset attention to air duct. Kitchen is immaculately cleaned and straightened. Warmth and charm are added to the recipe by setting the table with coordinating blue crystal goblets, crystal candle sticks, seasonal flowers and matching new blue tea towels carefully arranged in kitchen to add color. Improved lighting by adding lamp to far corner, changed bed coverings to a more sophisticated look, changed pillows to co-ordinate, and added basket of wild flowers to add a hint of romance. It often takes a fresh eye to notice areas of your home that could use a little improvement. Small inexpensive items, furniture rearrangement, and simple adjustments will make a big difference in how buyers see your home. It's amazing how such small improvements can change the sales price buyer's are willing to pay. Like it or not, your are not just selling your house.... you are also marketing a lifestyle! 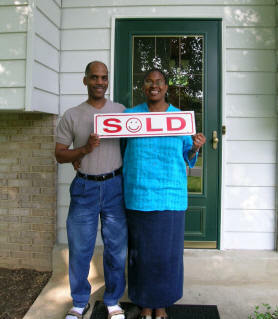 Sometimes just finding the right contractor is one of the most challenging hurdles to getting your home ready for sale. Ann has a list of recommended contractors, that will help speed up your progress and SAVE $$$. We Provide a written CMA (Comparative Market Analysis), to help determine your home's current value. We carefully analyze your neighborhood market activity and document pertinent sales information, selling prices, seller concessions, amenities, upgrades and market demand. Our job is provide adequate documentation and facts that support our recommended listing price. We want you to fully understand exactly what factors were used to arrive at a correct market value for your home. We provide multiple marketing strategies to suit your needs and discuss the pro or cons of each program and how they relate favorably with your situation. We give you a written estimate of every settlement expense you should expect, and provide a estimate of how much cash you will receive upon settlement. «Process listing paperwork, and verify completion of all current legally required forms. «We provide an Electronic Lockbox for showing access- Lockbox records entry times, entry dates, name of agent, name of broker and phone number. All key box activity is recorded online and monitored. «We will also install an Outdoor Brochure Box and provide extra outdoor brochures. QR codes prominently displayed on outside of brochure box that will link to interior photos, web page featuring house, and instant contact to listing agent. «We email new listing announcements to over 3500 agents in local offices and repeat if price reductions are make. Generally only 3% or less of homes sell due to an open house. While some homes may benefit with this type of public exposure, others do not fair as well. Multiple factors should be considered. There are positive benefits, but also some negative issues. 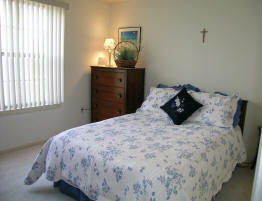 Your specific location and circumstances will be discussed at at time of listing your home. 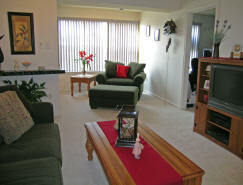 Unless there is a specific concern, Ann generally likes to hold a listing open within 1-2 weeks after listing the home. «We Follow-up on Agent Showings for feedback. «Co-ordinate arrangements and timing for contract presentations. «Review contract offers and financial qualifications of buyers. «Assess and compare strengths and weaknesses of multiple offers. 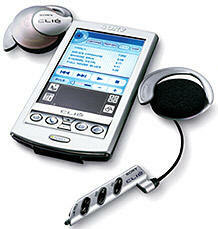 «Direct negotiating strategies, and counter offers. «Deliver documents for signatures by fax, email or hand delivery as necessary. «Prepare copies of signed contracts and deliver to seller, buyer and agents. «Coordinate negotiations that result from home inspections contingencies. «Coordinate signatures of all parties on additional addendums written after initial contract presentation and provide copies to all parties. «Arrange access for home inspections, appraisers, termite inspections and buyer pre-settlement inspections. «Monitor contingency deadlines for home inspections, HOA document review, master plan review, and final buyer's financing commitment deadline. «Co-ordinate settlement date, time and location. «Attend Settlement and review settlement figures. «Follow up post settlement details as necessary. «Monitor Post-Settlement Occupancy Agreement if included. 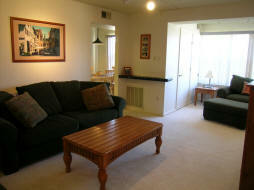 Attend final post-occupancy inspection and have buyer sign release of seller's escrow deposit. Verify that settlement company has forward the deposit check back to the seller in a timely manner. «Ann has over 20 years of experience and is very skilled at handling difficult transactions. Each case is unique and with years of experience, problems can be recognized early and handled properly from the start . We guarantee outstanding results because we do MORE! Our goal is to nationally advertise your home in the most favorable format and artistic presentation possible. Then, we make sure your listing is easy to find on the web. Custom Photography Package - Our mission is to make sure none of our listings ever suffer from unflattering photographs that destroy your chance to sell your home for every penny of it's true market value. Photographing your home correctly is an art. It's more than proper lighting and camera lenses. We have an eye for art and a bit of genius for knowing how to show off each room. We often shoot up to 100 photos. We carefully hand pick the right shots and even touch-up photos when necessary. You'll notice a huge difference immediately when you compare our photos to others. 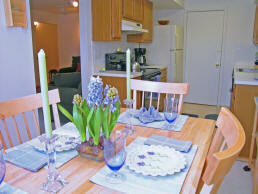 20 Photos Are Submitted to MLS and all photos are available for viewing within 30 minutes of the listing submission. Virtual Tour is submitted at the same time as your listing so that all automated updates of new listings that are emailed will include your full photo package and virtual tour. Visual Tour Systems is an outstanding product that offers the most widespread propagation throughout the web. Most virtual tour vendors that work with MLS are automatically linked to all participating IDX broker sites. As and added feature, Visual Tour Systems multiplies your exposure by also linking your virtual tour in several additional national real estate websites including Realtor.com, Homes.com, Homesdatabase.com, Yahoo classifieds, HomePages.com, HomeSeekers.com, TrendsMLS.com, and all websites serviced by Global Realty Office, and the Delta Media Group. Visual tour downloads FAST with just one single click. Buyers do not need to continue clicking and waiting for each photo or panorama to load and display. "Visual Tour" allows 50 photos, and up to five 360 degree panorama shots in each tour. Visual Tour panoramas offer an undistorted view. The photographs appear natural without seeing the typical curved walls and odd shaped rooms. Virtual Tours can easily be emailed and even saved on a single floppy disk! See Sample of "Visual Tour"
These tours are great because they include a floor plan. To see the interior rooms all you do is click on the room and the picture pops up. The most extraordinary addition to our marketing strategy is to design a complete multi-page web presentation for your individual home. Although internet MLS exposure is widespread, only limited information and photos are viewable through the participating IDX broker sites. To add rocket fuel to your marketing campaign, Ann developed individual mini-websites for each of her listings. It is the ultimate buyer presentation, designed to provide all the necessary information to make a home buying decision easy. Experience has shown that almost every single listing Ann sells was virtually "Sold" on the web. Buyer's have actually come to their first property viewing appointment with their check books in their pocket. Your full web presentation displays all of your homes finest features, detail information, list of updates, and even photos of neighborhood recreational attractions. Best of all, every online and written advertisement we place will have a direct link to your website. Your web address will be short and easy to remember AND each link will go directly to your individual page! That's right - only one single click does it. No searching through another listing website to find the right listing, no opportunity for the buyer to get side tracked! Each page of the presentation is loaded with photos and critical information that today's buyer is asking for. Highly descriptive details that make decision making a snap for the buyer. An organized one stop source to answer every possible question and information that NOT supplied by any source. Complete interior multi page photo tour includes unlimited number of photos. This targeted email announcement is sent hundreds of local realtors that are located in offices closest to your home. We especially target top producing agents. We also send this as a pre-listing announcement to the 80 agents that work at Re/Max Realty Centre. Ann has maintained top 10 rankings on Google, Yahoo, MSN, AOL and all the biggest search engines for over 6 years. When we place your house photo on our home page, you can be sure to receive even more coverage than we already promise. Your house photo will be listed on our index and home page, with a link directly to your web presentation.